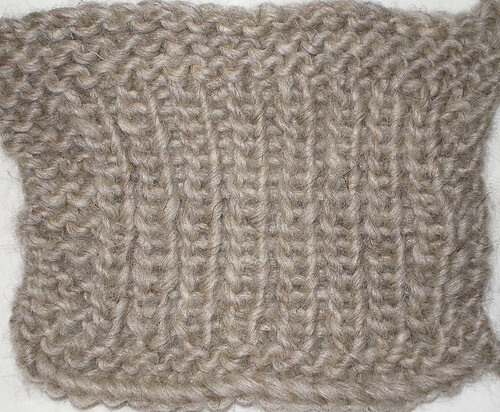 1×1 ribbing, originally uploaded by expknitter. Comments: The most often used ribbing st. I put a garter stitch border around it to show how it wants to pull in, as you can see in the photo.